Have been off for a couple of days but wanted to return with the important stories that I covered on the radio show that really have gotten little MSM coverage. 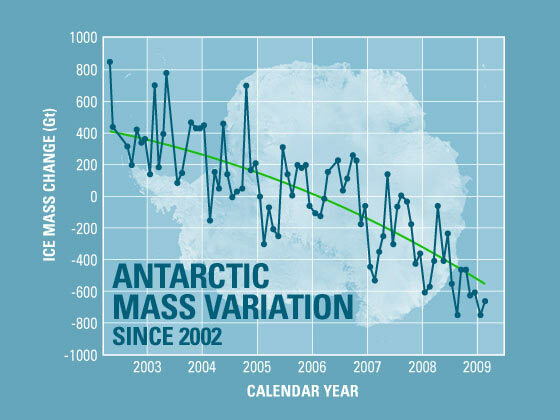 Starting with what should be a huge story so far as global warming is concerned but so far has received very little coverage in the media, Antarctic waters are warming and a citadel of ice is melting. It's completely remarkable when you consider that the fringes of the world's coldest continent are warming faster virtually than any place on earth. This represents what is essentially the first breech in an area that holds 90% of the world's ice. Steady warming has the potential to raise ocean sea levels many feet. 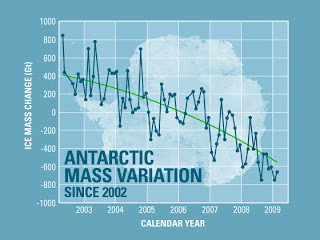 The question now, as humanity pours greenhouse gases into the atmosphere at an accelerating rate, is not whether Antarctica will begin to warm in earnest, but how rapidly.Here's a link to the indispensable Climate Progress's pretty thorough wrap on global warming and green energy news that includes stories about how the World Bank has been talking about focusing its support on clean energy projects, the UK is negotiating a central role for business at the Cancun climate summit next week, hybrid tugboats, an organic farming system geared for homeowners, schools, restaurants and commercial growers, optimizing wind farms, China hitting their energy efficiency and pollution targets and at the cost of one Tim Horton's donut per month Ontario's solar PV industry will have created 72,000 person-years of jobs. The people at Motor Trend take on the hate-mongering, drug addicted blowhard Limbaugh over his uninformed stance on the new Chevy Volt and remind him that driving and Oxycontin don't mix! Interestingly the Globe and Mail disagrees with Motor Trend's choice for car of the year but for entirely different reasons than Rush.